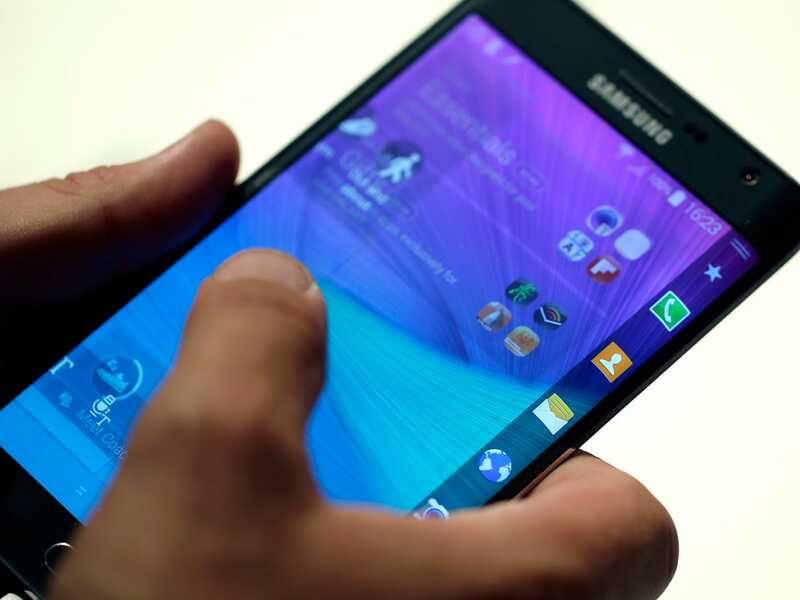 APThe Samsung Note Edge has a secondary screen that functions independently from the main display. Samsung’s newest curved-screen smartphone, the Galaxy Note Edge, will cost $US946 without a contract when it launches next week, the company announced Monday. It will cost $US400 with a contract from AT&T, and other carriers will offer various deals too. The Edge is nearly the same phone as the Galaxy Note 4 that launched a few weeks ago, but it has a second screen on the side that functions independently from the main display. The “edge” screen is designed to show you information at a glance like weather, news, and incoming notifications without lighting up the main screen. For comparison’s sake, the Galaxy Note 4 costs about $US749 without a contract, and about $US300 with one, depending on the carrier. The iPhone 6 Plus, Apple’s new phablet, also starts at $US749 or about $US300 with a contract. But it sounds like that extra screen on the Note Edge adds quite a bit of cost to the phone. And it’s unclear whether that’s worth the extra $US200 considering the Note 4 is already one of the best phones you can buy today and does most of the same stuff.